Recently I have had the opportunity to listen to a lot of current jazz music- music that is quite new to the scene. I especially like newer jazz because it makes me happy to hear how jazz has evolved throughout time- the music doesn't sound like it's from another generation, it is expressing this generation, the now. 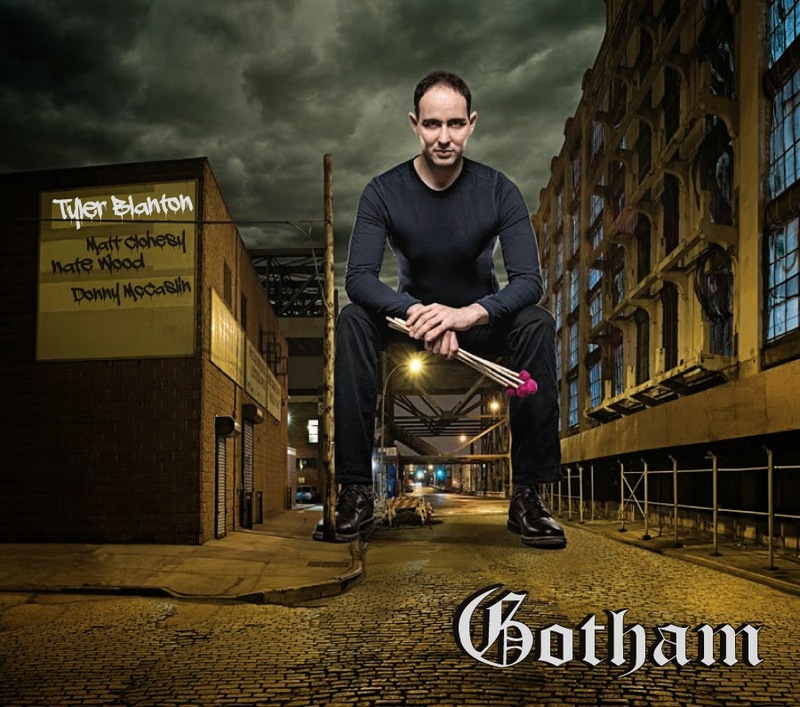 This week I listened to vibraphonist Tyler Blanton's new album Gotham. Tyler Blanton is a vibraphonist and composer from the New York jazz scene. Botanic was Blanton's debut album, and Gotham is his second album to date. Gotham "molds reflections of his now seven-year residence in New York into a mesmerizing musical portrait that is as captivating, aggressive and challenging as the city itself". Blanton describes Gotham as "edgier, more hard hitting, assertive and rhythmic" than his former work. The News Release for the album says, "Acclaimed vibraphonist Tyler Blanton channels the grit and energy of New York into Gotham, his new groove-inflected album featuring saxophonist Donny McCaslin, drummer Nate Wood and bassist Matt Clohesy". "Never Sleeps": As soon as I started listening to the album, the opening track struck me as catchy, rhythmic, and groove-based. The vibraphone opens up the album with a repetitive figure that immediately caught my attention, and made me nod my head to the beat. I enjoy hearing the different musical influences, like rock music- it makes the album seem fresh, and really captures the urban sound of New York. "Freaky Dream": This song opens up eerily, with a repetitive rhythmic figure. Tenor saxophonist Donny McCaslin joins in on this track with a crisp, articulate tone. The saxophone adds a sense of jubilance and makes the song quite singable with melodic lines. I like how the drummer and saxophonist line up different rhythmic hits either on or off the beat- these unison figures add extra energy to the song. Blanton seems to line up his improvisational lines perfectly within the set groove, with a cool, urban tone. 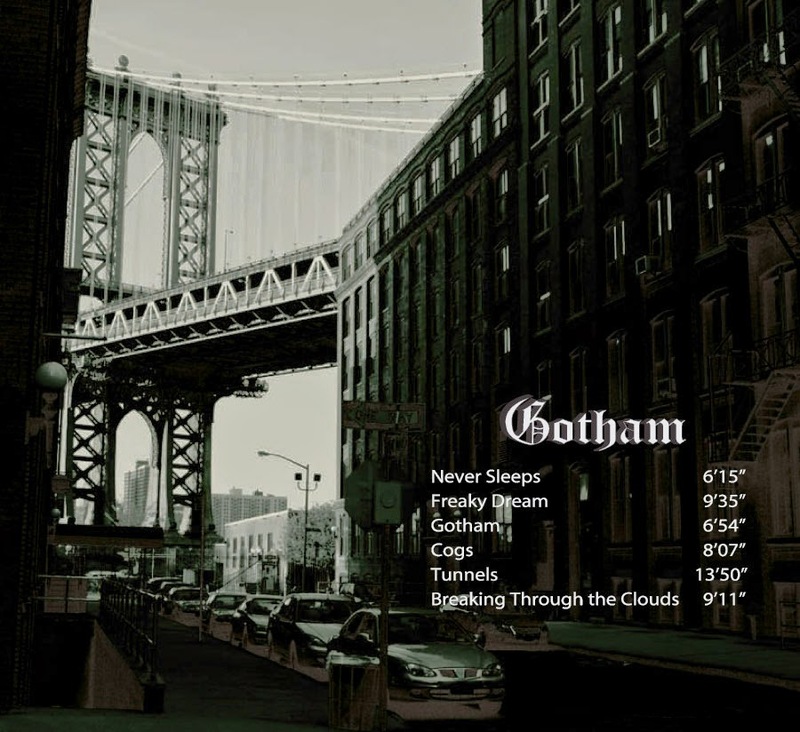 "Gotham": The title track to this album opens up almost like a movie score- eery, cool, and mysterious. I am not sure if Blanton named the album Gotham to relate to Batman, or just to relate to a nighttime New York City, but the mysterious quality from either is found in this track from cool repetitive figures, to a driving rhythmic pulse, to groove based solos. Each musician's technical facility is easily demonstrated, but also the artistic facility is demonstrated, leading to interesting and meaningful solos. "Cogs": This song opens up quietly with only vibraphone then adding saxophone, once again with repetitive rhythmic figures. The drums suddenly come in with a series of strong hits, then the groove builds around a few repeated melodies. The ensemble hits every accent together with precision and an electric sort of energy. "Tunnels": This song exemplifies an energetic sort of relaxation. The mood of this song is reflective, but seems to look forward through its unison precision and a heartfelt groove. The bass lines up perfectly with the drums, and their partnership drives the entire ensemble. I enjoy McCaslin's edgy, full tone- he seems to put a lot of energy and soul into each note. Even though this song might not be considered "dance music", there is a certain danceable quality from the strong groove that makes you start to move around. "Breaking Through the Clouds": This is my personal favorite song off of the album. I enjoy the calm, serene quality. The tone colors that result from the vibraphone and tenor saxophone provide a lush, smooth feeling, that result in a reflective, almost sentimental ballad. Each solo seems to be approached with authenticity and hope. This song is supposed to, "state in sound that while New York can often threaten to break you, its vitality can, in fact, offer an artist uncommon inspiration"- and I can definitely hear this inspirational quality. Final Thoughts: Blanton says this of Gotham: "Whether you like it or not, this album is an authentic statement of where my music is now at"- and I think this genuine authenticity is what makes the album so enjoyable, and what makes jazz so exciting for me. Individuality, and expressing your own personal story makes jazz evolve over time to express the people and the generation. Here is a link to Amazon to buy the MP3 download. The album is officially set to be released April 22 on Ottimo Music.